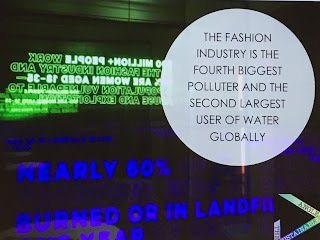 I was really pleased to see Elle Magazine’s sustainability issue in September, it was the first glossy fashion magazine I had bought for years. 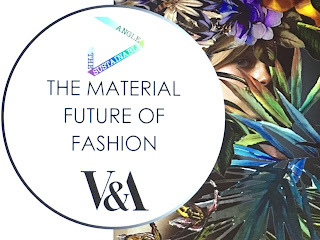 I loved the thought-provoking interviews and uncompromising editorial: “if we don’t do this now, there will be nothing around to make fashion with in 20 years”. But I found one thing jarring: having to flip past dozens of pages of adverts for designer brands, some of whom have admitted to burning excess stock rather than reducing or recycling it. 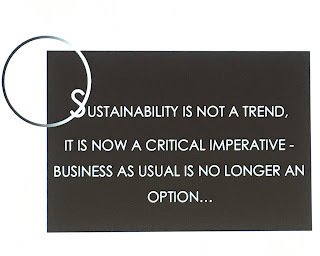 I know that magazines like Elle rely on advertising to make their magazine commercially viable, but what could fashion writing look like if it didn’t have to rely on brands that are taking their sweet time to commit to sustainability? Zines are not a new phenomenon; they have been around for decades and were an important pre-Internet means of communication between fans. Created and compiled by people who were passionate about their interests, but weren’t finding the sort of content they wanted to read from mainstream magazines or official fan clubs, zines have provided a way for otherwise marginalised writers to get their voices heard. 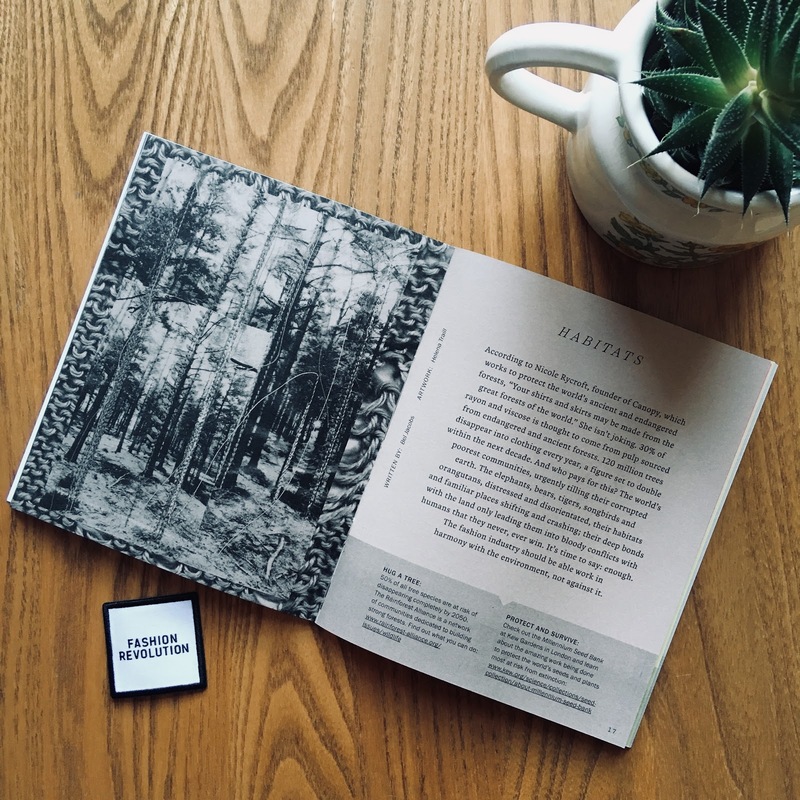 Zines have always been an important way to build communities, and while social media is making it easier for sustainable fashion advocates to share ideas and reach a wider audience, it’s lovely to see sustainable fashion zines providing the magazine articles I want to read, telling the stories that don’t fit neatly into a tweet or an Instagram caption. 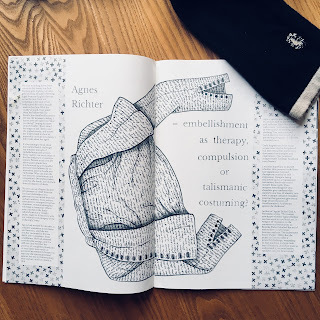 I’ve blogged before about how much I loved Fashion Revolution’s Loved Clothes Last zine; it’s filled with amazing artwork and photographs, and some fascinating and important writing. 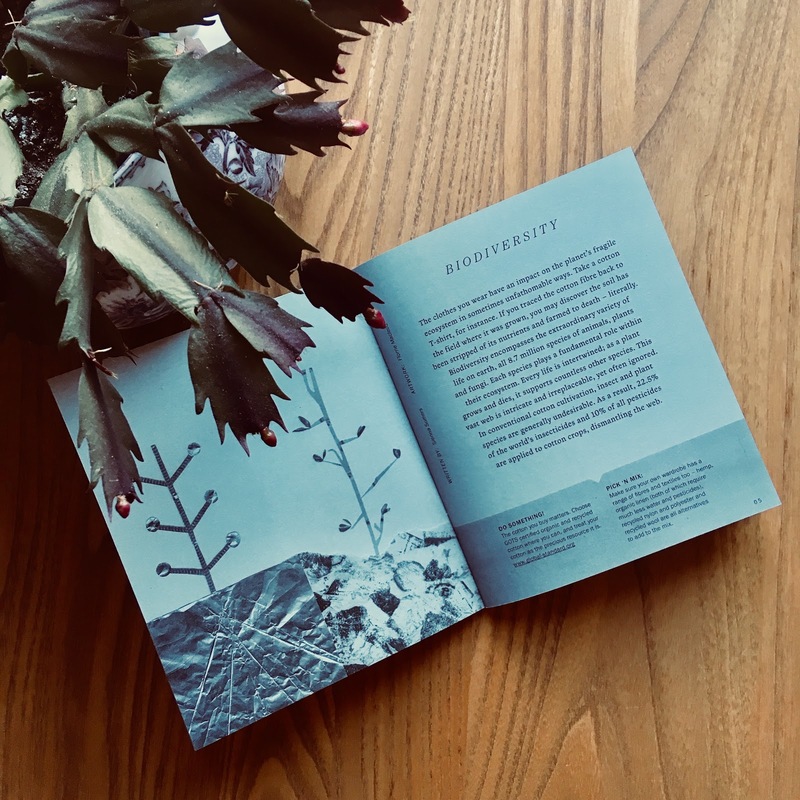 Their newest zine, Fashion Environment Change, is a small but perfectly formed A-Z of the industry’s impact on the natural world, and the work we need to do to improve things. Facts and figures are interspersed with poems and personal essays, and the zine ensures that it isn’t speaking for the people involved in different aspects of the fashion industry by giving them a voice. 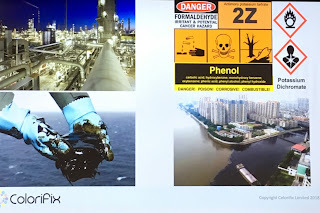 Nishanth Chopra, from Erode in Tamil Nadu, India, writes about the problems that textile industry pollution has caused in his home town, and gives an insider's’ view on what could be done to tackle this. 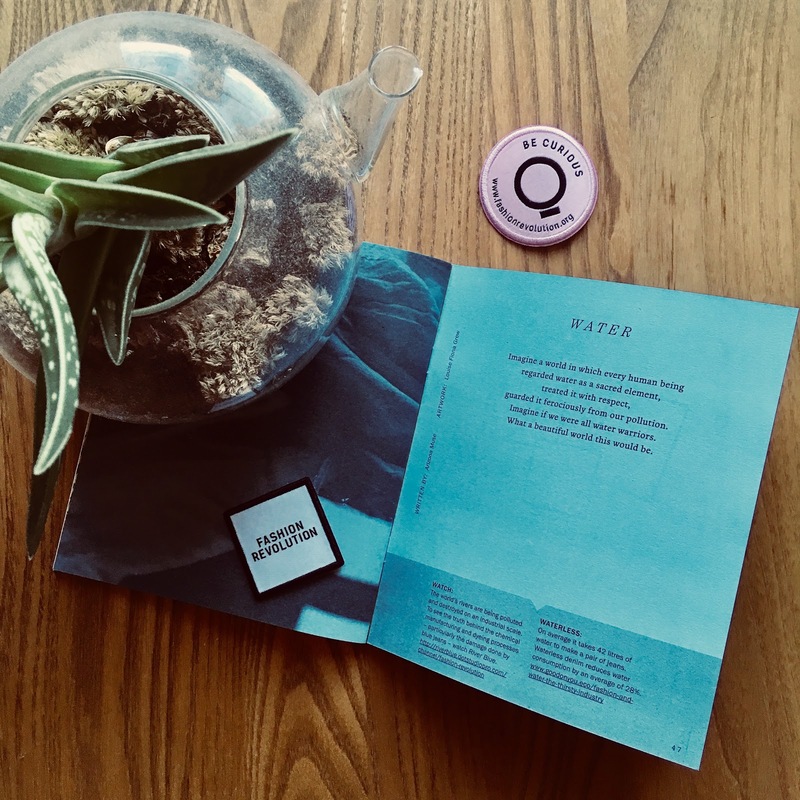 The zine is illustrated by students from Central Saint Martins, encouraging a new generation of artists to collaborate on work with an important global message. if you want to find out more, you can read the Fashion Revolution zines online for free on their website. Sew Irregular is a beautifully illustrated zine doing what zines do best: allowing people to write about their passions and interests. There’s a fascinating mix of different voices: costume designers and drag performers talk about the processes involved in creating their outfits and personas, while the zine’s “long read” dives into the costumes worn by Janelle Monae in her music videos, and the cultural references she celebrates or subverts. Slow fashion advocate Caro Gomez discusses her journey as a designer and maker, and Lauren Sweeney from Salvaged Project describes how she raises money for charity by rescuing unloved clothes. 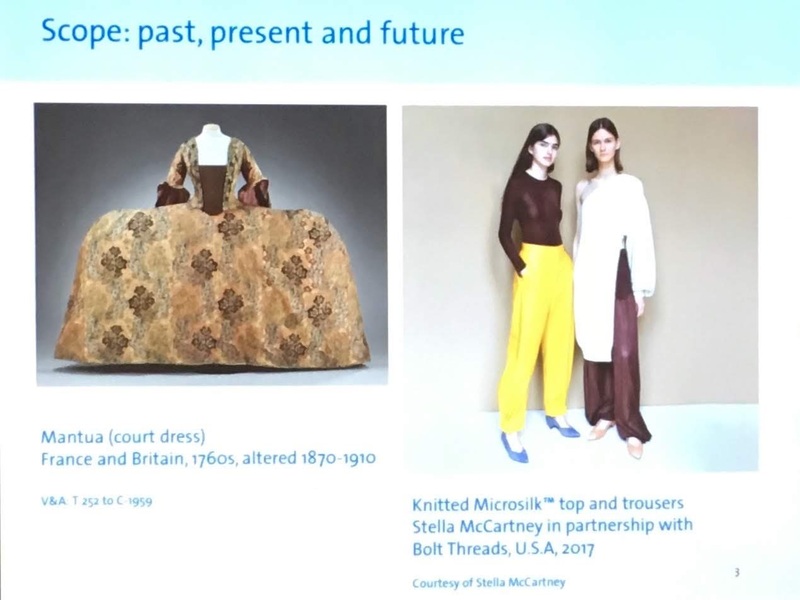 As if that wasn’t enough food for thought in the first issue, there’s also a look at the relationship between mental health and embroidery, told through the examination of old clothes and new learning processes. Little Black Pants Club have a novel way of distributing their zine/newsletter: it’s the packaging for their product! 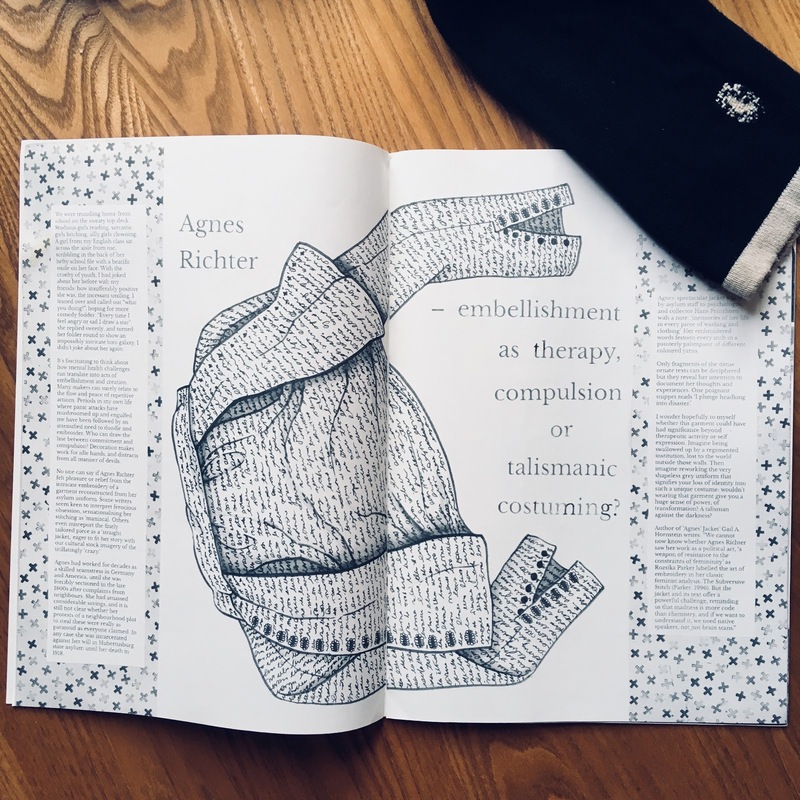 Every other month, as part of their pants subscription, a pair of knickers pops through my letterbox, and I carefully unfold the wrapping to read founder Alice’s latest reflections on the fashion industry. 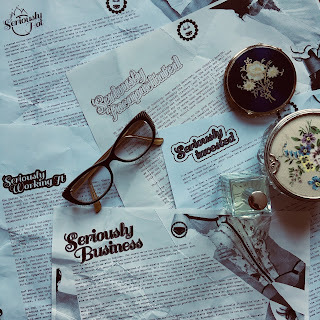 Her latest mini-zines have focussed on her role in the world as a small business owner: how to balance the need to make money in a capitalist society with a dislike of greed and excessive profits, the difficulties of juggling work and family life, and the mental and physical struggles with health conditions that make you less productive. 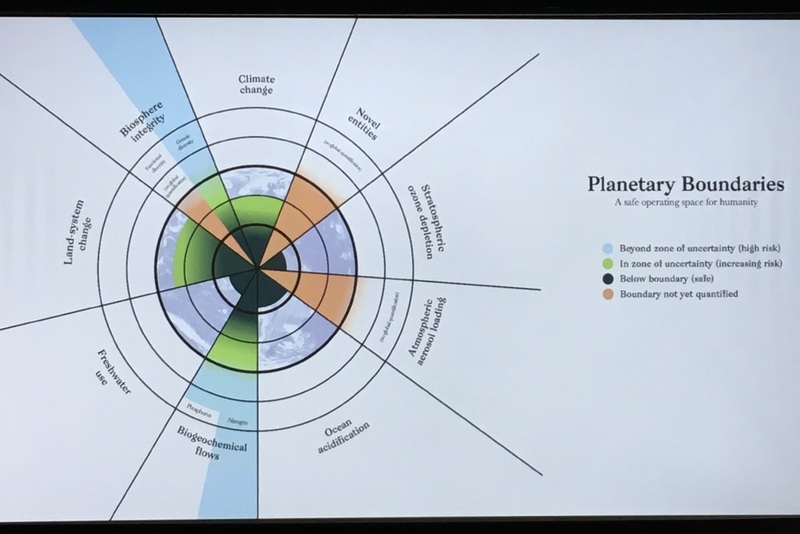 She tackles some wide-ranging, important questions: can the human race get better at sharing the earth’s dwindling resources? Is empathy incompatible with strong business leadership? Who am I if I can’t do the things I used to define myself by? I love discovering the stories behind sustainable brands and receiving purchases in eco-friendly or reusable packaging, and LBPC are ticking all the boxes with this novel idea. 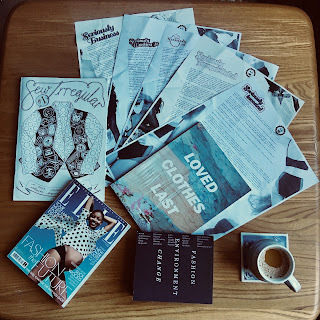 I might be tempted by other mainstream fashion magazines if they start putting sustainability front and centre, but first and foremost I’ll be looking for more zines to add to my collection. The zines I’ve read so far allow writers to express themselves honestly and joyfully. They are able to speak truth to power because there is no conflict of interest with advertisers or sponsored content. There is always a kindness to this honesty; no one is haranguing their readers or trying to spread negativity. Alice from LBPC’s writing style is perhaps the most direct and irreverent, but to me it’s a very readable blend of dark humour, uncomfortable truth and the determination to live and work according to her values, which I really admire. 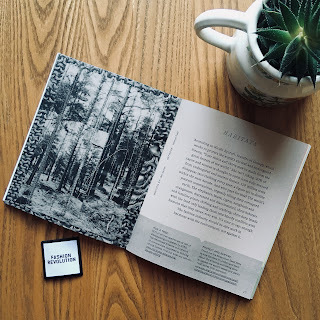 Fashion Revolution’s zines suggest solutions rather than just pointing out problems, encouraging readers to understand the changes they can make on a personal level, as well as the contributions they can make to creating change on a global scale. 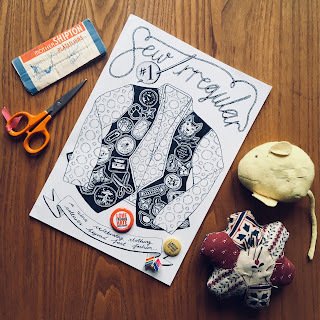 The first issue of Sew Irregular really managed to evoke a sense of the joy that can come from expressing yourself thoughtfully and truthfully through what you wear, from using your clothes to explore your sense of identity or to help others. I feel confident that we could all do with a little less negativity in our lives, so why not look beyond the magazine rack in your local supermarket for some fashion-themed reading material? I’d love to hear your recommendations for further reading too, so please get in touch! 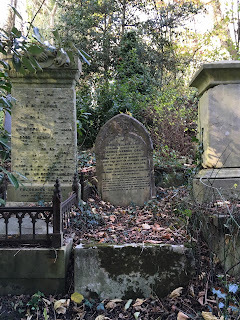 Highgate Cemetery is known for its unique and unusual monuments to the dearly departed, but one headstone stuck in my memory not because of its grandiosity or because it was the last resting place of someone noteworthy, but because it was the only one to record the cause of death. What a horrible way to go. The year of her death gives some indication as to how this could have happened; in the mid 1840s fashion dictated very full skirts supported by several petticoats, which could all too easily have swept too close to an open fire. 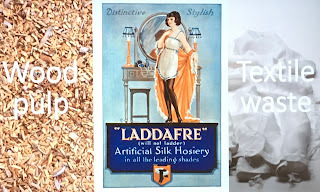 The less sympathetic among us might scoff at how vanity led this unfortunate young woman to become a literal fashion victim, but the truth is that our clothes have been a source of deadly danger for centuries, and still are. One doesn’t have to stray far into the realms of fantasy fiction to come across a piece of jewellery with mischief on its mind. The timeless appeal of precious metals makes them the perfect way to beguile a hapless protagonist, whereas clothes feel more ephemeral; would Gollum or Bilbo have been inexorably drawn to an old sweater? Of course the reality is that the gold and silver we favour for jewellery is inert, unchanging, whereas clothes change with us. They adapt and react to our bodies, sometimes in ways that can actively cause us harm. In an episode of CSI: New York, a young bride drops dead at the alter. The murder weapon? Her wedding dress, illicitly procured from an undertaker and sold as secondhand. The formaldehyde used to preserve the body had seeped into the dress, and poisoned its new wearer. 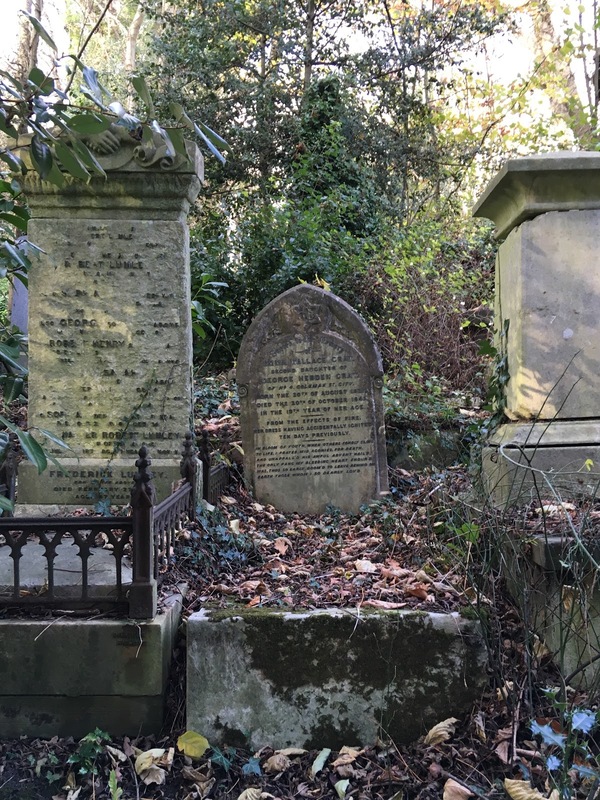 It seems an unlikely scenario now, but if we travel back in time to the 1850s, poor Emma Wallace Grad could easily have been the victim of a different kind of fashion fatality. 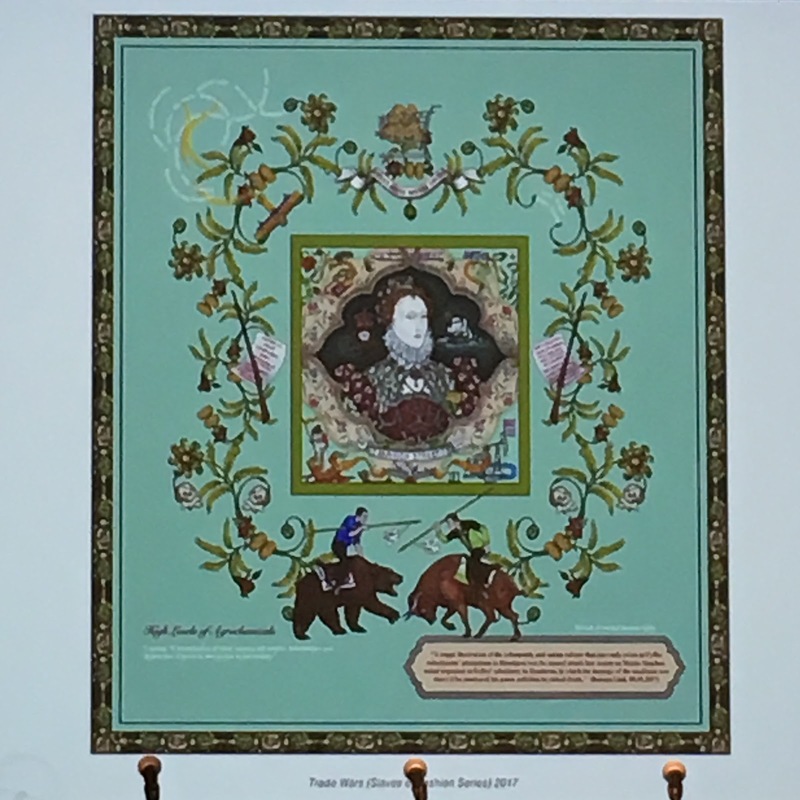 New chemical dyes were all the rage, but bright green (also popular as a shade for wallpaper) was made from arsenic, which reacted with the warmth and moisture of the wearer’s body to become an active poison. Is it a coincidence that Victorian women were stereotyped as weak and sickly when they were surrounded by toxic substances? Examples of clothes that actively wish their wearer ill are surprisingly few and far between in fiction; probably the best-known example are the scarlet pointe shoes that are the undeniable star of “The Red Shoes”, the ballet where the shoes force the unlucky wearer to dance herself to death. But our clothes don’t need to be enchanted with evil spells to cause us harm, or even death. Dancer Isadora Duncan had her life cut short by the long tasseled scarf that was her style trademark: it caught in the wheel of her car as she drove away and... well, perhaps you can imagine. You might think yourself immune to any fashion-based health hazards. If you wear comfortably fitting clothes, avoid dangling accessories, and ensure your clothes are well looked after, you might think yourself immune. I hate to break it to you, but your vigilance is in vain. Every time you (or anyone else) washes clothing containing polyester or other synthetic fibres, tiny plastic microfibres find their way into our water supply. Friends of the Earth estimate that 83% of our water is contaminated with microplastics. Unwittingly eating old bits of someone else’s clothes isn’t something we’d dream of doing under normal circumstances, yet here we are. So maybe the reason we don’t tell horror stories about our clothes is that it’s a little too close to the bone. We all have to wear clothes, after all, so to think of all the harm these innocent-looking and inviting garments could inadvertently do is very disconcerting. Perhaps we need to turn a suspicious eye towards the true villains of the piece: the people at the top of an industry that has turned a blind eye to deaths of workers in its factories for centuries, and given no thought to the devastation that its poisonous chemicals and harmful materials can cause. Do I believe they are doing it deliberately? No, but I do believe they don’t care, which is somehow scarier, especially when we’d like to think of our clothes as friends, not foes. So beware the siren song of fast fashion, my friends. If that beguiling bargain looks too good to be true, maybe it is. After all, cheap clothes aren’t really cheap. Someone, somewhere is paying the cost. Whatever our age, gender or personal style, the vast majority of our wardrobes will have something in common: cotton. Whether it’s a smart shirt, floaty sundress, comfortable basics like t-shirts and underwear, or that pair of jeans that you can wear anywhere, cotton is a versatile natural fibre, breathable and easy to wash and care for. Cotton feels like such a friendly fibre, but its history is far darker and more complicated than its uncontested presence in our lives would suggest. Let me describe a scenario for you: A government redirects its country’s rivers to provide water for intensive cotton growing. This engineering project, ill-conceived and badly executed, diverts the rivers away from a fertile inland sea, turning it into a salty wasteland. An island in the centre of the lake, once used as a weapons testing facility, is now accessible by land. Meanwhile, every autumn the nation’s teenagers are taken from their homes and forced to work as unpaid cotton pickers. If they don’t meet their almost impossible quotas, they are fined or expelled from school. I haven’t described the plot of a dystopian novel, this is genuinely happening in Uzbekistan right now. Cotton’s role in the destruction of the Aral Sea has been documented in Lucy Siegle’s book To Die For: Is Fast Fashion Wearing Out The World?” and Stacey Dooley’s recent BBC documentary Fashions Dirty Secrets. But the worldwide history of cotton, over hundreds of years, is similarly complex: part of the fabric of our lives, but also responsible for global conflict and human misery. So how to tell this story? There’s no denying we have lost touch with where our clothes come from, but overloading consumers with facts and figures could cause people to switch off rather than engage with the subject. 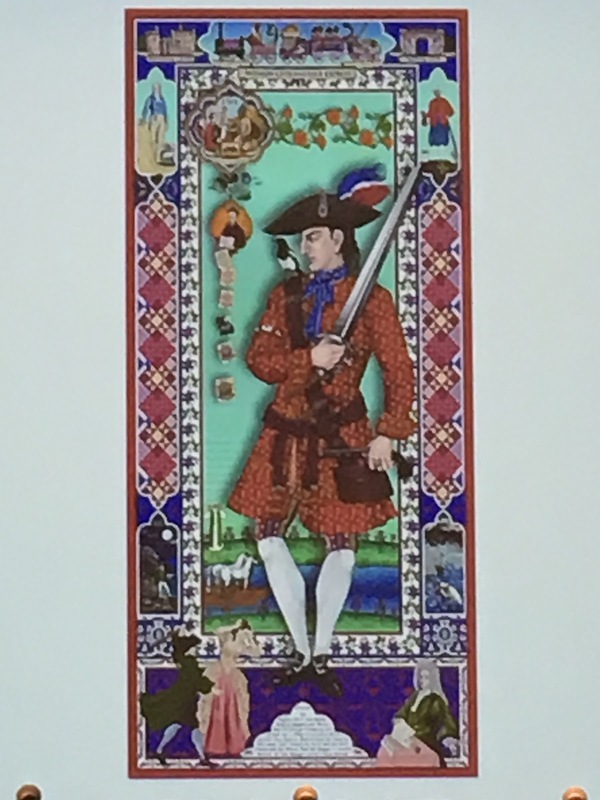 Liverpool-based artists The Singh Twins have chosen to tell the story of cotton, focussing on Britain and India, through a series of artworks and poetry. 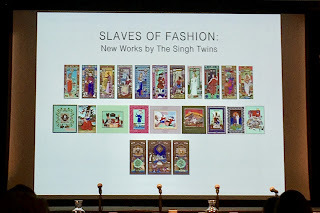 The Singh Twins spoke about their Slaves Of Fashion series at the Ethical Consumer Conference on 12th October, and also ran a workshop which centred around the poem and what lessons we could take from it. 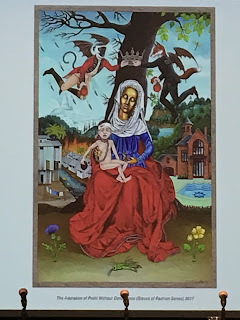 Sadly my photos, snapped on my phone during the talk, really don’t do justice to these intricate and detailed works of art. 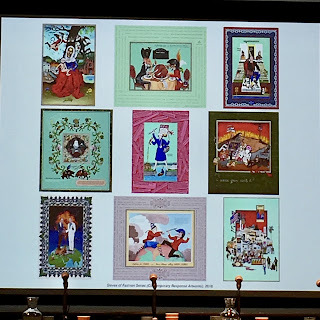 The works which trace the history of the cotton trade between Britain and India are in the style of Indian miniature paintings; they show the lives of the rich but are full of details which relate to the misuse of the environment and the mistreatment of people. The details are extraordinary; for example, the painting titled "Chinz: The Price of Luxury" appears to show a woman in fine clothes and jewellery, but on closer inspection the diamond around her neck is dripping blood and in amongst the floral patterns on the skirts of her dress are curling chains, symbolising the slave trade. The wealth of detail draws the eye and rewards a closer look: the symbols of imperialism and colonialism reveal how reliant the luxury lifestyle of the elite has been on the slave trade in centuries past, and the global legacy this has left. Some of the works reflect on current trade wars, modern slavery and the greed of global corporations that perpetuates this cycle. 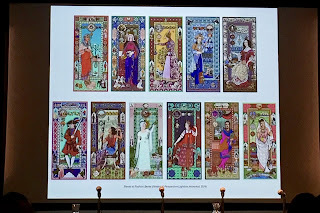 The Singh Twins “Slaves Of Fashion” film, a recitation of their poem about the history of cotton accompanied by details from their paintings, was nothing short of mesmerising. 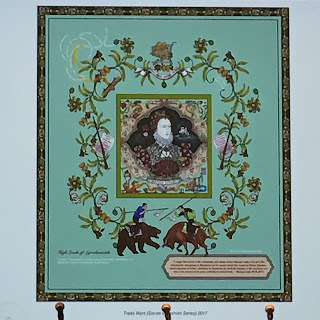 The verses linked the cultural and historical significance of cotton, the Industrial Revolution, the trans-atlantic slave trade, the British invasion of India, Partition, fast fashion and the global economy with heart-felt emotion that would have been completely lacking from a timeline of dates and place names. As we discussed our impressions of the film afterwards, the same subjects kept coming up. 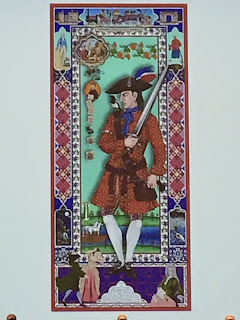 Having the history of cotton presented to us in this very lyrical, visual way, the patterns were easy to spot. 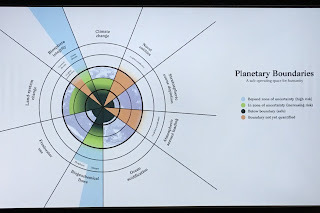 The cycles of industrialisation and globalisation, the cycles of exploitation of people and the natural world. The same power and wealth imbalances have persisted across centuries in different incarnations. But the poem and paintings also contained messages of hope. 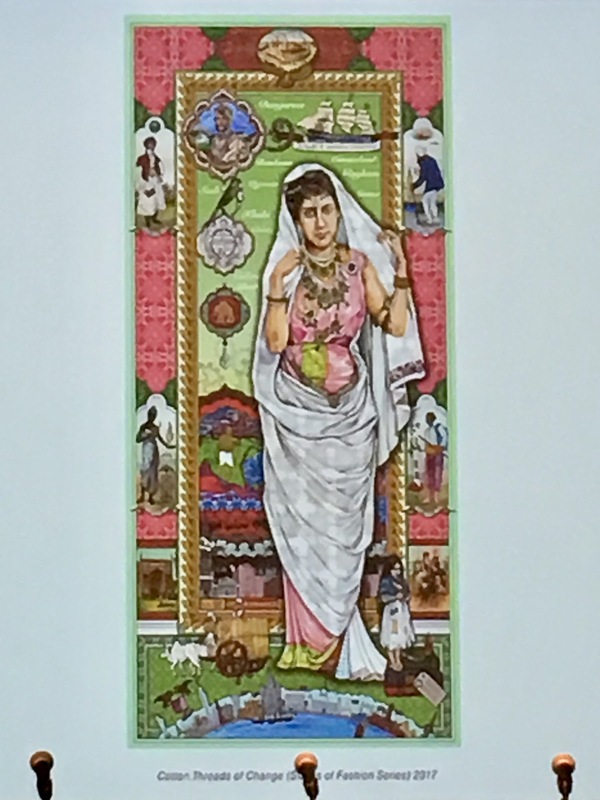 Ghandi’s use of traditional Indian weaving as a form of protest, and the solidarity shown by Lancashire mill-workers who stood with their fellow weavers in India rather than falling for propaganda that would have pitted them against one another. 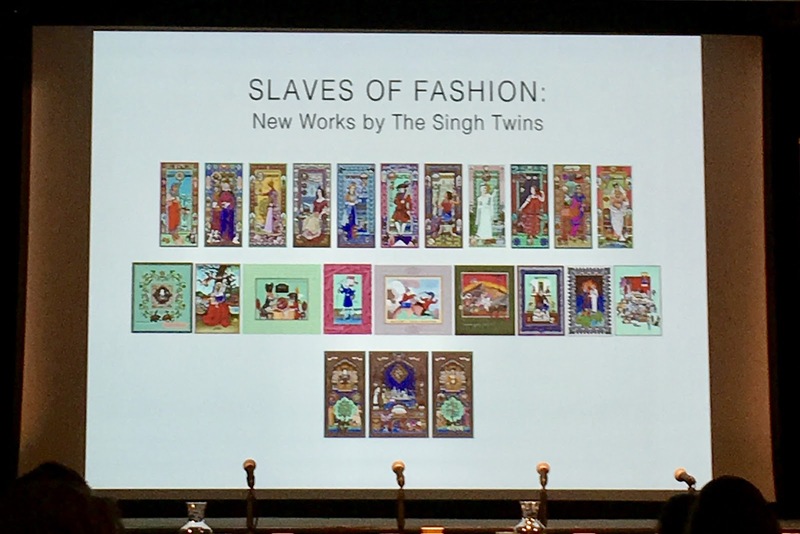 Global trade weaves the threads of our lives together, and the “Slaves Of Fashion” series by the Singh Twins is full of messages showing that this is even more relevant now than it was in the past. 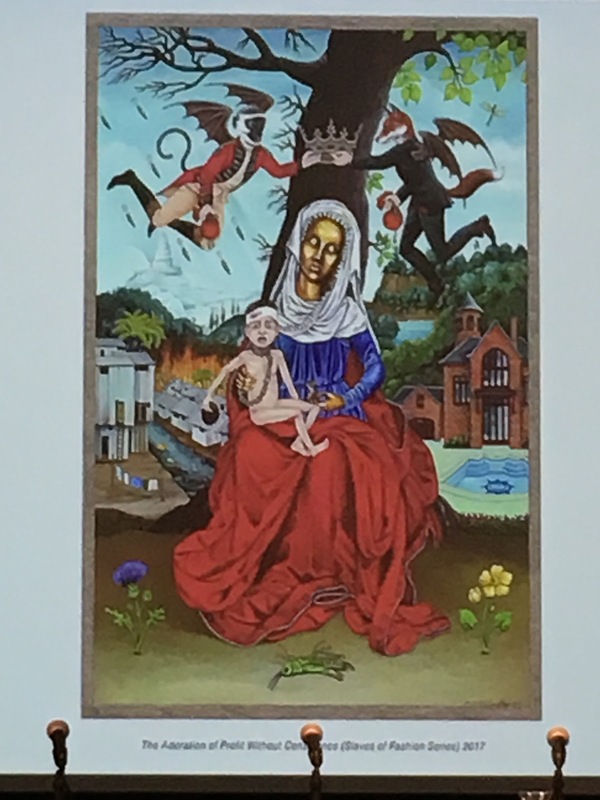 We need stories that alert us to the dark sides of the things in our lives that we take for granted, but these stories need to spark a desire for change, rather than despair. Fashion is reliant on strong visuals for its initial impact, so it makes sense that powerful images can also reveal the things that need to change for fashion to truly be beautiful, and for us to be truly comfortable in our cotton clothes. Fashioned from Nature at the V&A is an exhibition designed to encourage debate and raise awareness about the complex, uneasy and unequal relationship between fashion and the natural world, without preaching or causing feelings of guilt. Fashion takes inspiration from nature but also exploits it, and as the fashion industry has grown rapidly in scale since the Industrial Revolution it has become a global problem that is impossible to ignore. Senior Curator Edwina Ehrman’s introduction to the Fashioned From Nature: Designing a Sustainable Future conference gave some fascinating insights into the design of the exhibition and also set the tone for the rest of the day: fashion has some hard truths to face up to but it is also a space for experimentation, innovation and beauty. 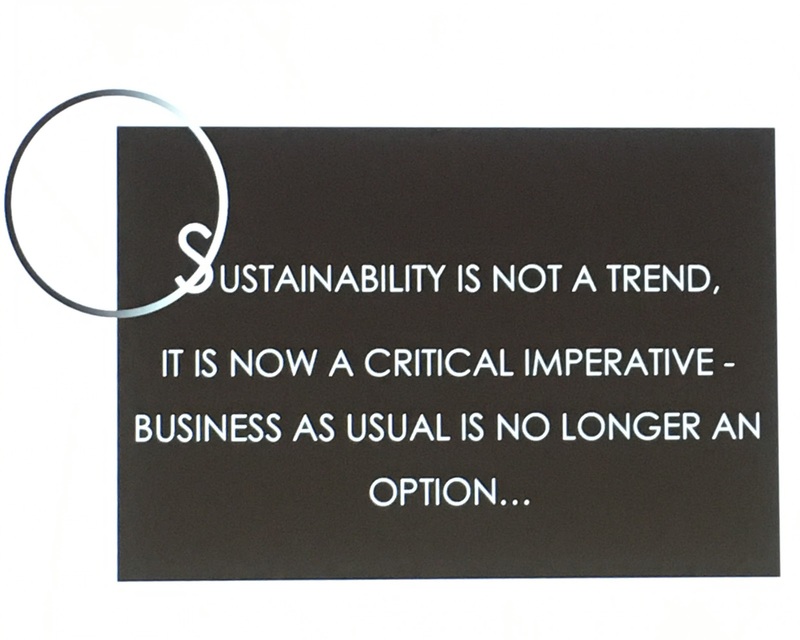 The first speaker was Professor Dilys Williams, Director of the Centre for Sustainable Fashion. She posed questions that challenged the audience to think about our intentions when we choose our clothes and dress ourselves. If our ability to project our identity through our clothes is an identifier of being human (no other species can alter their appearance in this way), what does that say about our relationship with nature? For four hundred years humans have believed that we could change or control nature, but the truth is that we are a part of nature, not separate from it. The current fashion system relies on inequality, and the imbalance between what we take from and what we give back to nature. 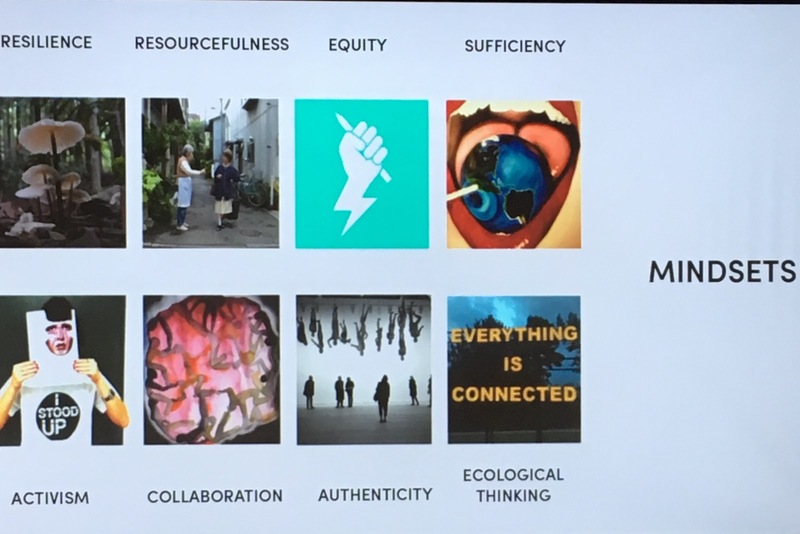 The Centre for Sustainable Fashion encourages the fashion creatives of the future to look at the fashion industry through different lenses, considering power, culture, nature and society. Rather than putting economy before ecology, we need to work towards an era of interdependence, using our imaginations to construct new identities which are more in sync with the world around us. 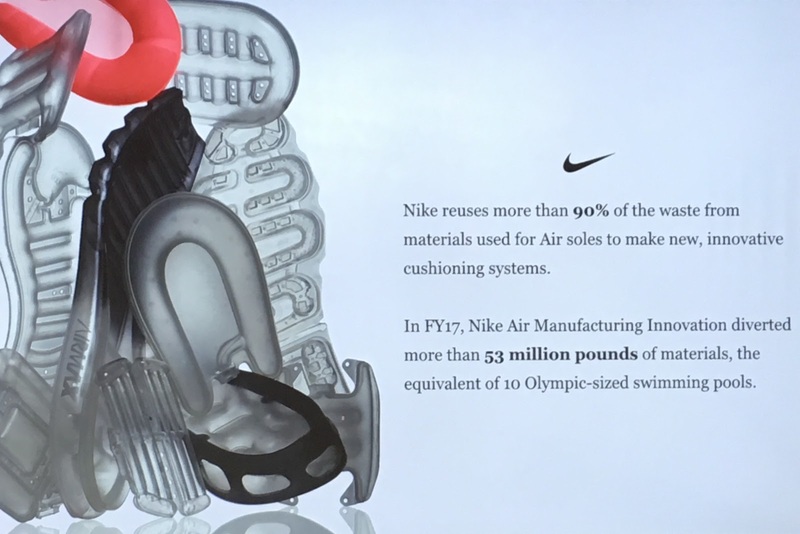 Kathy Gomez, the Vice President of Innovation at Nike, talked about the new techniques the brand is pioneering to achieve their goal of increasing sales while dramatically reducing their environmental impact. An interesting fact I’ve noticed during the time I’ve been writing this blog and looking into sustainable fashion is that brands that run their own factories have many more opportunities to change and improve their practices. For instance, the plastic used to make the air soles for Nike trainers can be recycled and reused in-house because Nike own and operate the factories. Journalist and vegan fashion advocate Bel Jacobs was joined by director of sustainability at Stella McCartney Claire Bergkamp for a conversation about the search for alternatives to animal products for the fashion industry. Even as an emerging designer, Stella McCartney was adamant that she did not want to use leather, so from the start the brand had innovation at its core. 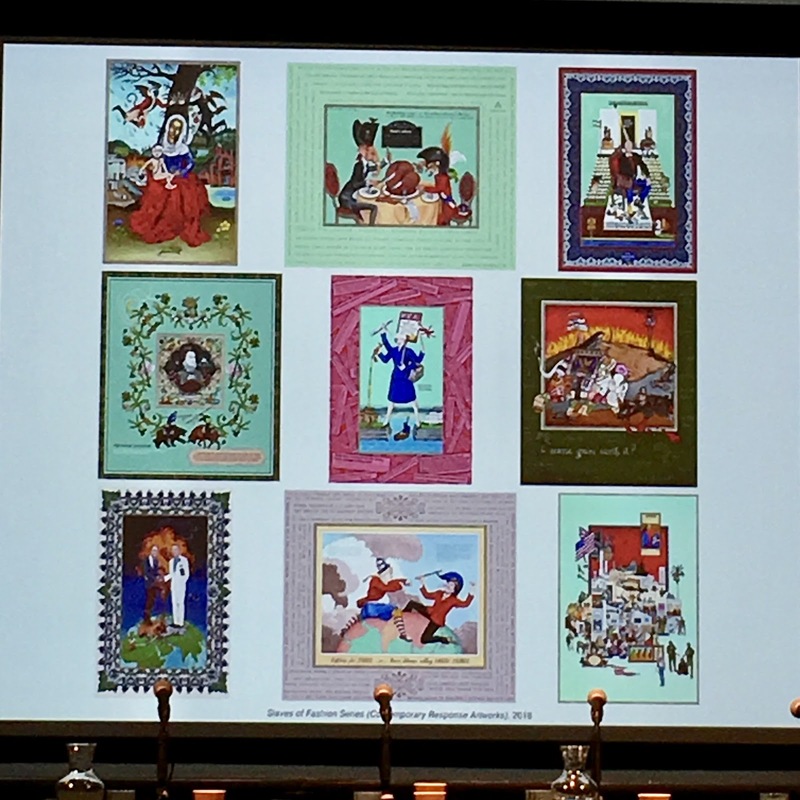 Not wanting to offer products that were an inferior quality, collaborations with traditional manufacturers that had moved with the times to stay in business were often the answer when it came to finding artisans to work with new materials. The search for new materials has led to a collaboration with Bolt Threads, who make lab-grown spider silk and mycelium leather, and the brand has embraced the opportunities for creativity and change that come with pioneering the use of new fibres. 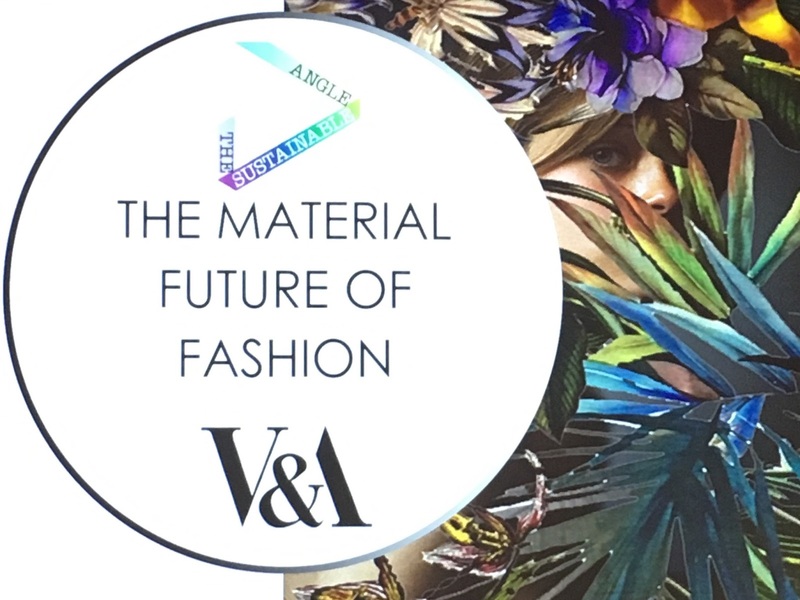 After lunch (an opportunity to sit in the V&A garden and digest everything I’d just heard) the afternoon’s presentations began with founder and director Nina Marenzi and curator and consultant Amanda Johnson from The Sustainable Angle, a not-for-profit that aims to connect the makers of sustainable textiles with buyers from the fashion industry. 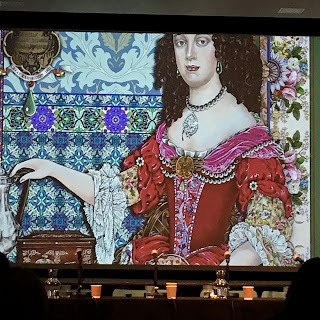 They run the Future Fabrics Expo, which showcases thousands of samples of new and innovative materials (you can read more about my trip to the Future Fabrics Expo in this blog post). 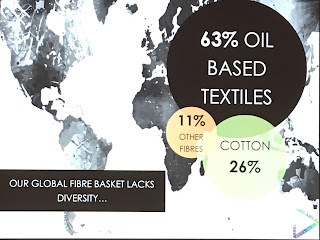 Many of their most successful fabrics use post-consumer waste from a variety of industries to create fabrics that are a great substitute for their cruel or polluting “natural” alternatives. Leather is being replaced by some brands with Pinatex, made from pineapple fibre, or Frumat, made from apple pulp. Malai is made from coconut water waste, grown onto a banana fibre base, while post-consumer plastic bottles can be made into a synthetic down substitute for jackets which feels and behaves just like the real thing. 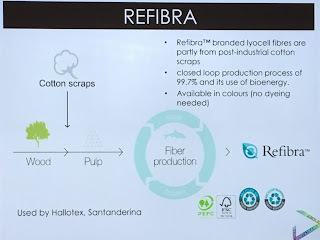 Oya Barlas Bingul from Lenzing gave us an overview of the company’s latest sustainable textile innovation: Refibra. Taking cotton waste from the manufacturing process and combining it with lyocell creates a natural fibre which reduces both textile waste and the need for ever-increasing quantities of raw materials. Lenzing maintains a traceable and transparent supply chain for their fabrics, viewing innovation as a necessity: “don’t settle for the way things are, push for the way things could be”. 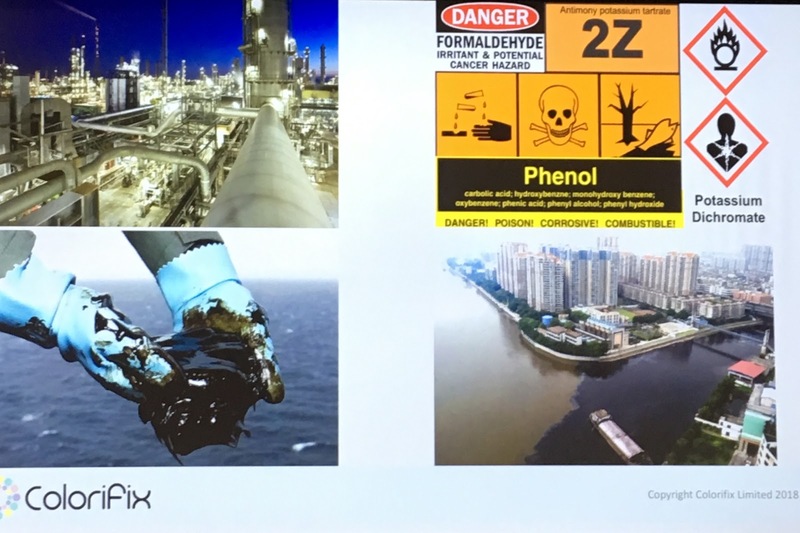 Dyeing is a hugely impactful part of the garment-making process, responsible for large-scale water pollution in countries like Bangladesh, but Orr Yarkoni, founder of Colourifix, had some good news about revolutionary sustainable processes that are currently being developed. 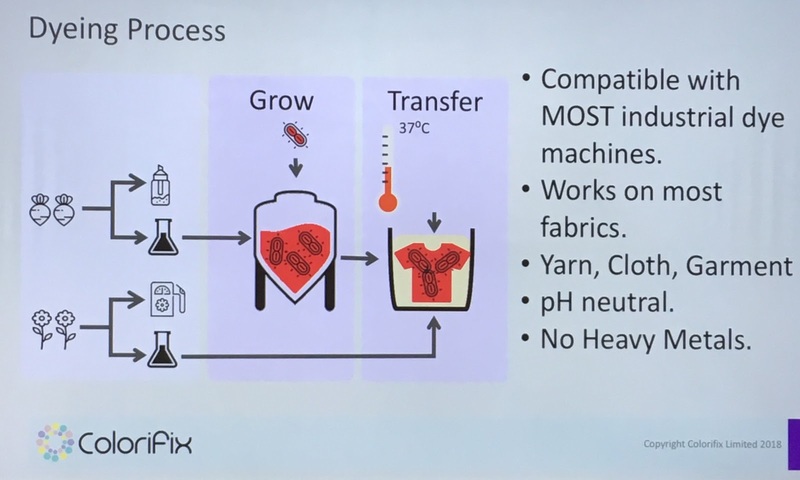 Colourifix’s new technology will first ferment synthesised pigments from naturally occurring colours before the dyeing process begins, which improves the absorption of the dye by the textile fibres. 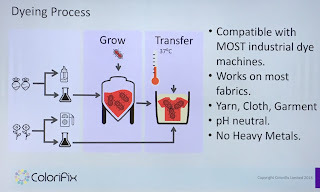 This new technology will be compatible with existing dyeing infrastructure, and can be used on yarn, fabric or garments. It also successfully dyes both synthetic and natural fibres, unlike many other dyes. 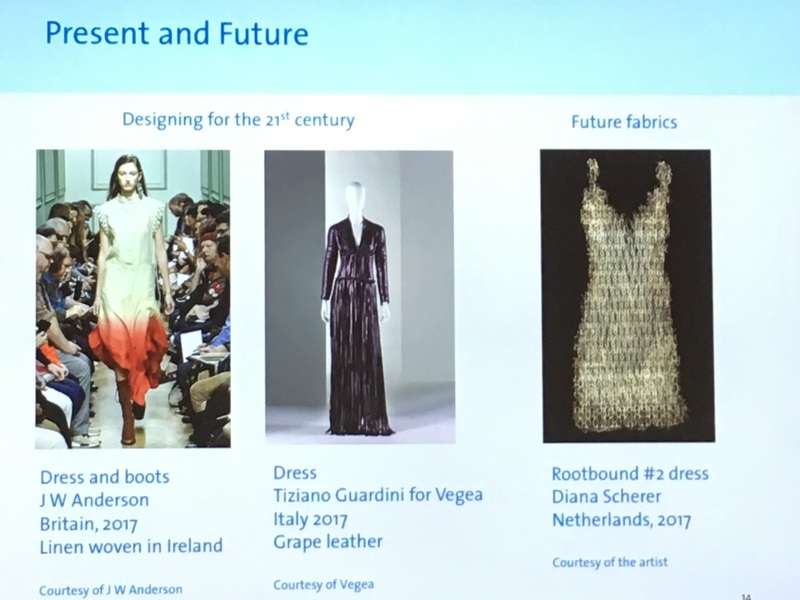 PhD researcher Miriam Ribul is interested in fashion on a molecular level, investigating better fabrication models for an already abundant source of plant-based textile waste: cellulose. 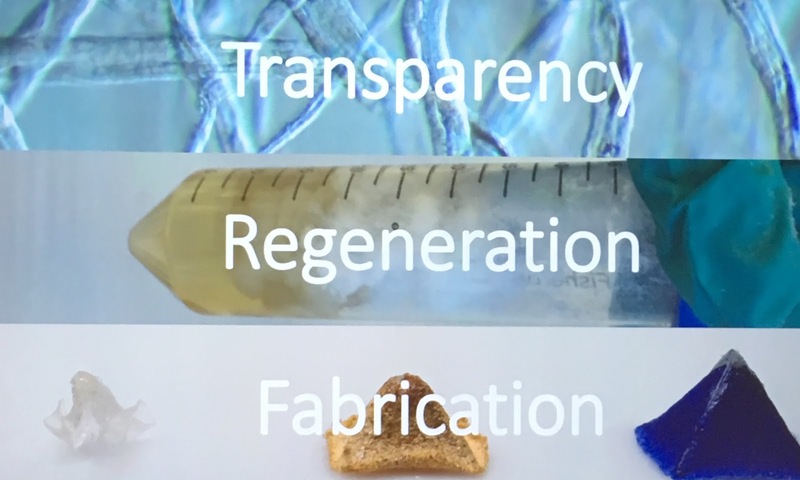 In the past, cellulose could only be made into fabric using toxic chemicals, but new technology is making cellulose regeneration a cleaner and safer process. One key problem that limits current textile recycling is the lack of information about what chemicals have been used to dye or treat the fabrics, and if the garment label has been removed or damaged even the information about the mixture of fibres in a garment is lost. DNAture material coding would embed this information in the fibres themselves, so a quick glance under UV light and a microscope would provide all the relevant information about the garment. Carry Somers, co-founder of Fashion Revolution, sat down with Amy Powney from Mother of Pearl to bring fashion back to the personal. 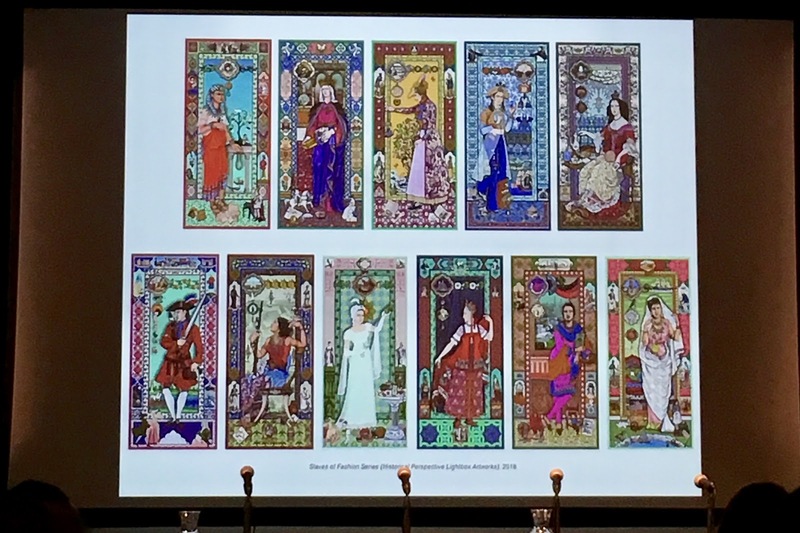 The two women spoke about the ways in which their unconventional upbringings had paved the way for a career in sustainable fashion: living off-grid meant they didn’t take modern conveniences for granted. A parental lack of concern about her street cred at school led Amy to obsess about saving up for the latest trends, and she remembered every detail about these precious passports to teenage acceptance. Being detail-oriented meant that Amy wouldn’t accept a lack of knowledge when it came to starting her own label, and her search for information took her all the way to South America. Interestingly, sourcing a collection from scratch rather than relying on existing supply chains has reduced the costs of manufacturing this collection, rather than increasing them. From the molecular to the global, there are positive changes to be made at every level of the fashion industry. We can learn from the past, as the Fashioned From Nature exhibition shows us, and we can overcome the current problems in the industry by learning from one another and collaborating, fashioning the identities that will shape a better future. 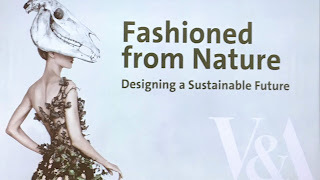 You can also read my review of the Fashioned From Nature exhibition here, or catch it at the V&A until January 2019. Making your own clothes can be a great way to opt out of the cycle of fast fashion impulse purchases and inevitable dissatisfaction. It will teach you the worth of clothes, as you’ll learn how long they take to make and the variety of skills you need. It can also be an opportunity to finally have clothes that fit properly, rather than having to make do with the imperfect sizing of mass-produced clothing. 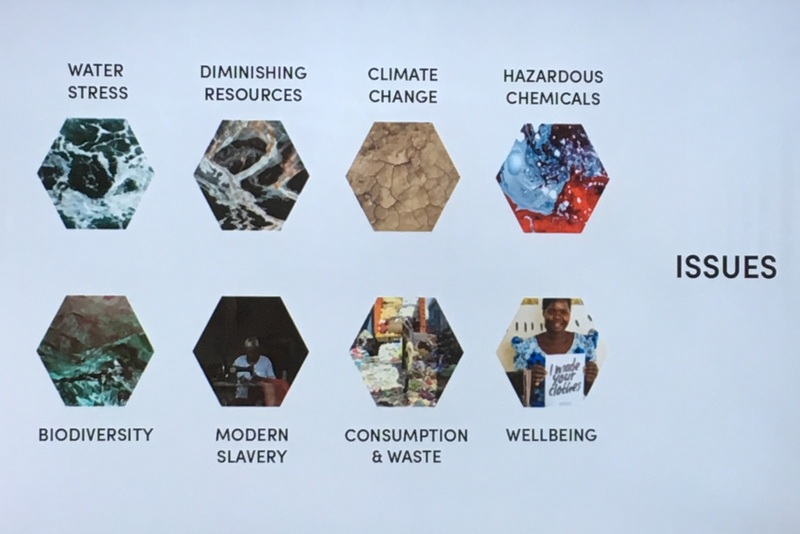 But there are also pitfalls to making your own clothes, so how do we overcome these to make home dressmaking truly sustainable? One of the main advantages of making your own clothes is that you can make something to your exact specifications. But when you’re short on time or money, it’s all too tempting to cut corners in order to have something new to wear as soon as possible. 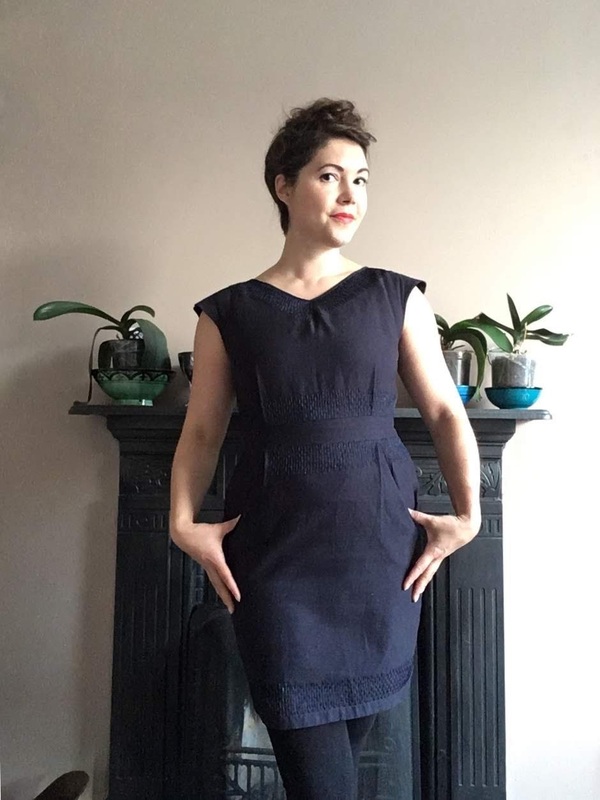 It’s also easy to be seduced by fabric that might not fit with your personal style, to buy more fabric than you’ll ever be able to use or to make things you might not want to wear over and over again. The cycle of overconsumption is difficult to break out of, even when it comes to hobbies that can have many positive benefits. 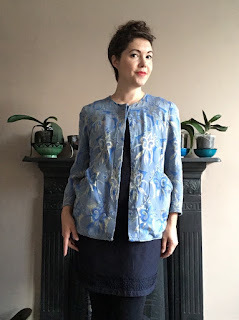 I made a dress and cardigan-style jacket about five years ago, but I had noticed that they had crept to the back of my wardrobe, and I’d constantly favoured other clothes over them. I didn’t want to get rid of them, but I did have to be honest with myself about why I wasn’t wearing them, and work on ways to make them more wearable. At the Style Yourself Sustainable event (find out more in this blog post), Alex from Sewrendipity spoke about her handmade wardrobe, and the pride she takes in all her creations. She keeps everything she makes, but frequently goes back and fixes faults in garments she made earlier in her sewing career as her knowledge of techniques improves. One of the things I love about sewing, and why it has made such a satisfying career for me, is that there is always something new to learn. Even though I sew professionally, I’d be the first to admit that I cut corners when I make things for myself, and that there is always room for improvement! My navy dress was a nice shape, but it was very plain, and it could definitely have benefitted from the edition of some pockets! I’d kept the leftover original fabric (I must have subconsciously realised that I needed to go back and add to it) so adding pockets wasn’t a difficult job (to find out more about adding pockets to your clothes, check out my previous blog post about pockets). I realised I’d been quite reluctant to go back to the dress and add pockets because I’d considered it finished, so I was interested to see Amy Twigger Holroyd discuss this problem in her book Folk Fashion: Understanding Homemade Clothes. Over the course of her research, Amy had discovered that makers were more reluctant to go back and fix shop-bought or finished homemade items, as the complete or “closed” nature of these garments made them more intimidating to tackle. Clothes that were damaged or unfinished were seen as less daunting because they were “open”, inviting the maker to alter or fix them. 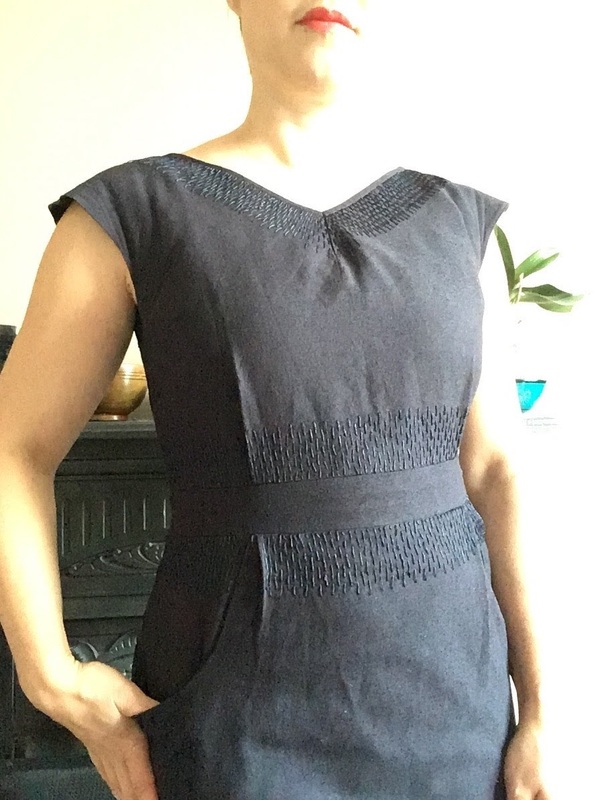 Despite ignoring the dress for a year, it only took me an hour to add the pockets, and I wish I’d done it sooner! 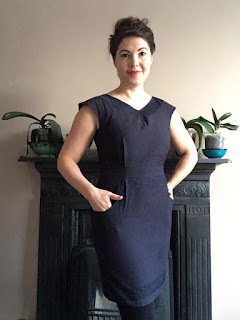 I also wanted to embellish the dress, so the simple pattern of running stitches around the neckline, waist and hem became something I could do without having to apply much thought on long train journeys, or when I wanted something to do with my hands while watching TV (If anyone else struggles to stop multi-screening I’d definitely suggest a simple embroidery project). The fabric of the dress looks interesting up close, but looks dull and flat from far away, so the glossiness of the thread adds a new layer of texture. 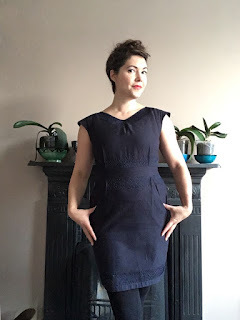 Keeping the thread the same colour as the dress fabric means the embroidery isn’t overwhelming; it draws attention to the cut of the dress rather than overpowering it. My jacket was even simpler to tackle: of course the main issue (again) was that I hadn’t added pockets! I didn’t just want to slap on a plain square patch pocket, so I used the reverse side of the fabric, matched the motifs up with the ones on the coat, and cut pocket shapes that echoed the shapes on the fabric. 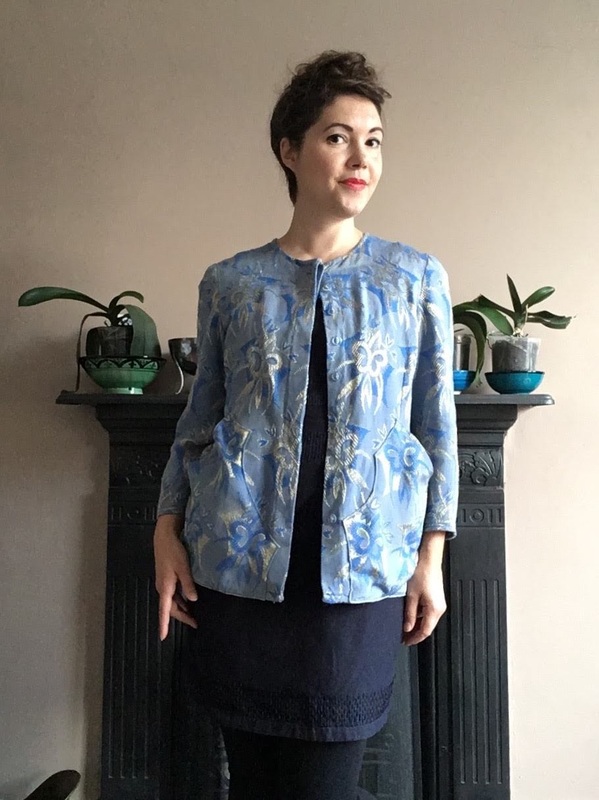 This has added a bit of textural interest to an otherwise flat and boxy garment, and the slight slouchiness of the pockets adds a bit of volume over the hips, subtly altering the proportions of the jacket without adding more waist shaping, which would have changed my original design. The best thing about making or altering our own clothes is that we get to decide which features are important to us. Fast fashion cost-cutting means we aren’t going to get everything we want from a garment. 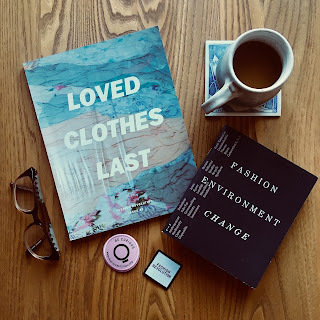 Breaking out of the fast fashion cycle means retraining ourselves to see our clothes as “open” garments which can change with us, and seeing the time we put into improving our clothes as time well spent.